You don't always have to use special cat shampoos to wash your cat safely. 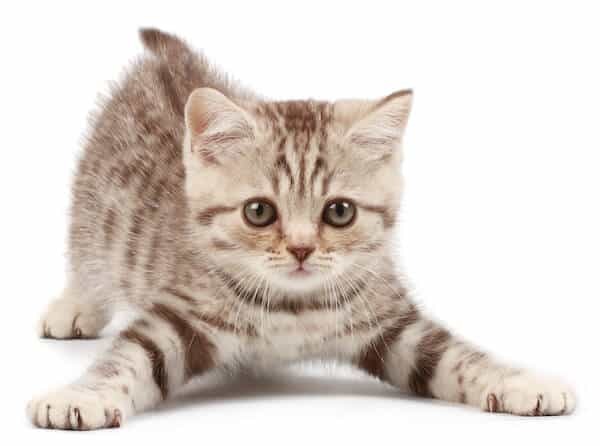 Although you know that cats are self-cleaning creatures, there is still some messy gunk that can get stuck on your beloved Simon—and be a pretty harmful threat for their health. Many vets recommend using shampoos that are specially designed for cats because you can rest assured they are safe and suitable for your lovely feline friend. But what else can I use to wash my cat? You don't always have to try to find those special cat shampoos, because there are quite a few other products you can use to wash your cat safely. 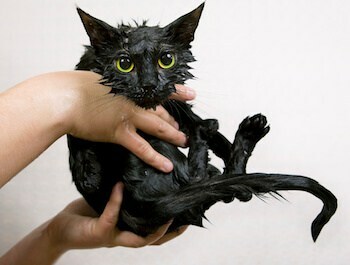 Although most cats are not fans of bathing, there are times when you absolutely need to give them a thorough clean. If your cat is not used to bathing, you may need some help in getting him acquainted with bathtime routines. You also need to find something you can use to wash your cat, and actually, we recommend all cat owners always have something at hand for those bathtime emergencies. They should be mild-strength with no chemicals or perfumes. Just like with dogs, the pH balance of your cat's skin is much different than your own as a human and cat-lover. That means that you should avoid using human shampoo for your feline friend. It can mess with their skin and fur. Johnson's Baby Tear Free Shampoo: Baby shampoos are more delicate than regular, big human shampoos so you might be able to quickly check off your list of those chemical ingredients you need to avoid. However, if you're going to be using baby shampoo instead of the real deal, make sure you do a little bit of research to avoid those dyes, fragrances, and harmful, chemical ingredients. Dr. Bronner's Pure Castile Liquid Soap: Anything that contains pure Castile soap is probably safe for your cat—maybe check with your vet just to make sure! These soaps are made from olive oil bases and do not contain added harmful chemicals nor dyes. However, when you're bathing your cat using this, make sure you rinse them thoroughly until the water is clear because the oil will undoubtedly cause them to try and clean themselves more! Dawn Ultra Dishwashing Liquid: Just like in that commercial with the adorable duckies, Dawn’s dishwashing liquid is gentle and safe enough for your cat, too. However, when used long-term, it might dry out their skin. Make sure to use the original Dawn, however, and not just a knock-off brand. Then you can be certain that the actual Dawn dishwashing liquid does not contain any harmful ingredients. Make sure that the product you're using is free of harmful ingredients. Although this should be your first priority, you might get caught up on a good price and make a purchasing decision without taking a look at the back of the bottle. Aim for products that are made from the most basic ingredients and avoid the chemical ingredients that were listed above. Be aware that dog products are not the same as cat products and something that is completely okay for your dog might be extremely unsafe for your cat. Not only can cats absorb the products directly through their skin, but they might also carry them along right on their fur, which they will then lick off and digest, which can lead to pretty dangerous situations. Alternative Cat Shampoo Recipe: If you can’t run to the store or if you're all out of stock of any of the above alternatives, you can even make cat shampoo yourself. Try to avoid using this long-term, however, because of the vinegar. Once you have your weapon of choice, it’s the moment you and your cat have been avoiding—bath time! Especially if you know bath time is right around the corner, it’s not a bad idea to clip your cat’s nails before the process. Especially since most cats don't care much for bath time, it'll be much more likely that they'll bring out the claws. If you don't have time to clip them before Simon needs a wash, you can easily invest in cat nail caps. They are vinyl caps that protect you when you need it the most—bath time. 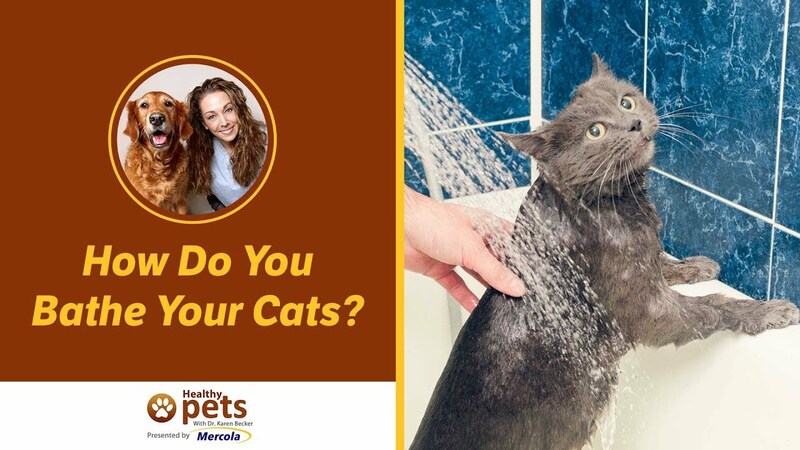 You might not agree with them because they don't allow your cat to retract their claws—but it’s your personal decision to make for a safer bath time for everyone. If your cat seems particularly irritable that day or if they're in the middle of a very, very important game of catch the cat toy, you might not want to interrupt them for a cat bath. Choose a time when your cat is the calmest—for example when they are taking a cat nap. When your cat is most relaxed is the perfect time to give them a bath (if there is a “perfect time”) and it will be extremely beneficial for the both of you— easier bath time for them and fewer scratches on your arms for you. For kitty bath time, you'll need a towel, non-slip mat, brush, cat shampoo (or alternative), and a cup or a gentle hose. If you can also get a partner for the process, it might make bath time run a bit smoother. 1. Brush out their fur. Not only does this prepare your cat for a soothing ritual, but it will also help prepare the fur to be washed. Brushing helps remove the dead hair, debris, and tangles. When the coat is dry, it is much easier to brush out tangled or matted hair. When the fur is wet, it is a much more difficult and more painful process (for the both of you). 2. Use warm water instead of cold. It doesn't matter if you are using the sink or the bathtub—even though using the bathroom can be better because you can close the door. If you have a small-sized cat or young kitten, you might want to opt for a sink. Instead of simply running the faucet, use gentle spray hoses or a plastic cup to get the cat wet. 3. Be gentle and slow. Just like with any other task that someone might not want to do, giving praise and reassuring your cat while bathing him or her will definitely help out the process by keeping them calm. Your kitten will respond well when you're gentle. It’s also great if you can begin the bathing process when they're young so they can get used to the idea of it. Use a soothing voice and even keep treats on hand to help reward their behavior—or just distract them. 4. Apply the shampoo. Once your cat is thoroughly damp, you can pour a little shampoo into your hand and then apply it to your pet’s body. Starting from his neck, you should work your way slowly to his tail—always with the grain (direction of hair-growth) and never against it. If you can manage it, don’t get the water or shampoo in his face, eyes, and ears. Not only will the cat not like that, but it can also lead to an ear infection. If you want to avoid that issue altogether and are brave enough, you can even add cotton balls into their ears. If your cat’s face needs cleaning, you can wipe it down with a warm cloth. Don’t forget to bathe his underside and the bottom of the neck. To reach everywhere on your cat and get them squeaky clean, you can even take your cat out of the water and place them on the towel while applying the shampoo. 5 Rinse out the shampoo. This is an extremely important part of the process. You'll want to make sure that there is absolutely no shampoo residue leftover or else your cat will want to lick it off later, which can be harmful if the shampoo is ingested. 6. Thoroughly pat-dry your kitty. Use the towel and first get them out of the tub or sink. Rubbing and patting them, it is important to get your cat thoroughly dry—especially in the winter months. You might come to find that your cat can tolerate a hair dryer, which should be set on the lowest heat and never be blown directly at his face. Once they are dry, brush them fully again, removing any loose hair and de-tangling their fur. 7. Reward them for their behavior. Even though they might run away from you as fast as possible, it is important to give them a reward with treats and affection. Cat bathing doesn't have to be a nightmare. If you start early and use the proper products, you can easily turn this grooming technique into a—sort of, not so bad—pleasant experience.